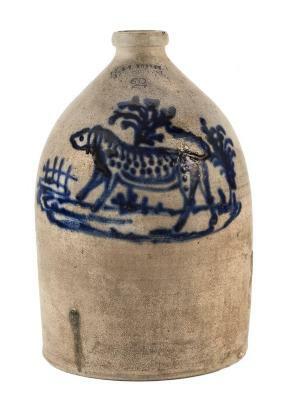 Salt-glazed stoneware jug with impressed maker's mark and decorated with a cobalt blue panther in the jungle. impressed: in front: "J. & E. NORTON, / BENNINGTON, VT"; "2"